The Healthy Boy: Don't Know What To Eat When Dining Out? Don't Know What To Eat When Dining Out? Want to know whether that restaurant meal you're digging into is a healthy option or considered a well rounded meal? Could you be making a better choice but not even know it? Like it or not it's hard to tell what the best options for your hips are and some of the dishes you think are good for you are about as balanced as Mel Gibson walking a sobriety test, and wont be of any value to you in your effort to lose fat or gain muscle. Follow Healthy Boy on Yelp! Thats right your favorite healthy living crusader has joined Yelp and you can now follow me as I go from restaurant to restaurant exploring healthy vs unhealthy options and advising you the best decisions to make along the way. 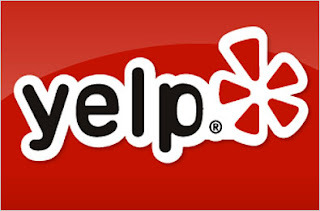 Become my friend and follow my reviews at http://thehealthyboy.yelp.com and tell me where you are eating and ask me questions about your meal options.